We just got a card printer for making wallet ID cards for the ordained ministers. 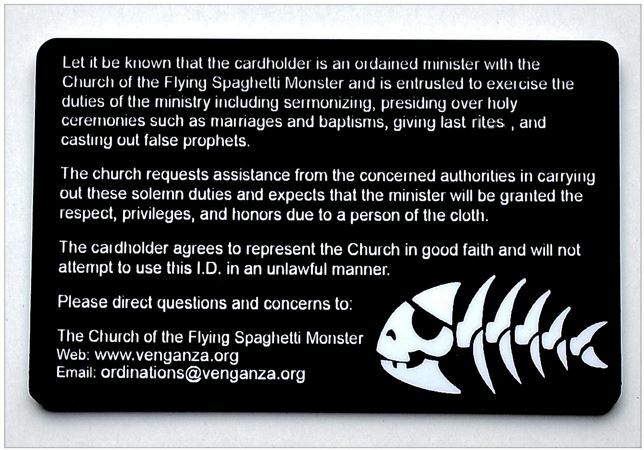 For now these cards are only available with the paper certificates of ordination. They’re PVC cards printed with a professional ID card printer (not paper/laminated). Note — for people who have already ordered a certificate, you can get an ID card with the same date/registry ID. I am going to send an email out this week about how to do it. 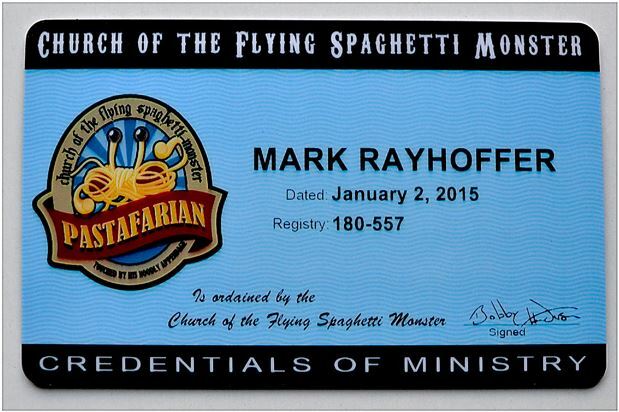 Dear community, it is my wish to be ordered as a FSM Minister, but I have a little problem. My name has accents on it. Is this a problem when printing the cards and/or certificates? Thank you in advance, as the urge is huge. Or maybe confess….that would be fun. Confessions to murder or infidelity. Sorry but I haven’t done anything sufficiently reprehensible to agonise over lately.